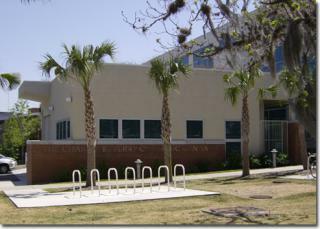 Bike Parking for Rinker Hall. Usually always has open spots. Located on the corner of Newell and Inner, near the Broward Area. Visible from road.